Dr. Frida Bianco has joined our practice. Dr. Frida Bianco is married to Dr.Massimo Bianco. Dr. Frida received her chiropractic degree from National University of Health Sciences in Lombard, Illinois. She earned her bachelor of science in biology from the State University of N.Y at Albany. Dr. Frida’s career includes ten years of practicing in various clinical settings in Illinois, Kentucky and Indiana. Her experience ranges from family care to auto accident and personal injury cases. She enjoys working with both children and adults. Dr. Frida has three children, two boys, Bryan and Daniel ages 15 and 10 and in 2014 welcomed baby girl Gabriella. All three are adjusted regularly and look forward to being adjusted. They understand that it benefits their overall health, much like proper exercise and healthy eating habits. It is essential for her to maintain a harmonious balance between family and career because of how rewarding her job is. Dr. Frida never tires of hearing of the great results her patients experience. They say that their medication never gave them the relief that chiropractic has. 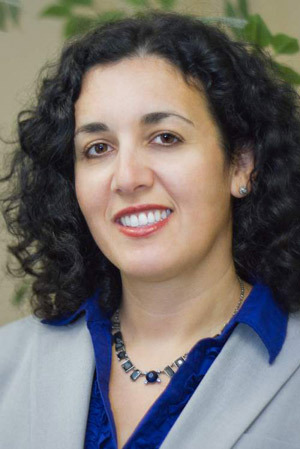 Dr. Frida Bianco looks forward to helping the patients at Preston Chiropractic achieve their optimal level of health. She is caring, compassionate, and a good listener. She will be an excellent addition to our team.